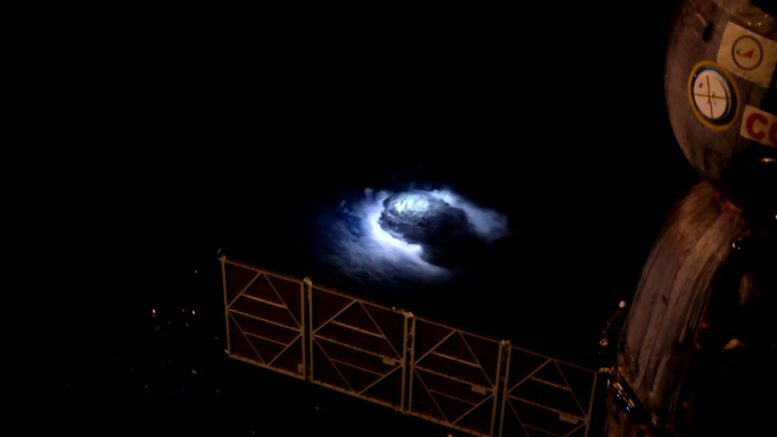 Thunderstorms in Earth’s upper atmosphere remain something of a mystery. Scientists cannot reach them directly with instruments; they are too high for balloons and too low for weather satellites. Thunderstorms in Earth’s upper atmosphere remain something of a mystery. Scientists cannot reach them directly with instruments; they are too high for balloons and too low for weather satellites. Flying through thunderstorms or camping out on mountaintops waiting for one typically ranks low even on an adventurers’ bucket list. An investigation aboard the International Space Station has come to the rescue. The European Space Agency (ESA) Atmosphere-Space Interactions Monitor (ASIM) is a collection of optical cameras, photometers and a large X- and gamma-ray detector mounted on the outside of ESA’s Columbus Module on the station. For at least two years, it will observe thunderstorm-generated electrical discharges in the upper atmosphere – the stratosphere and mesosphere – up to the ionosphere, the edge of space. This Earth observation facility enables study of severe thunderstorms and their role in the Earth’s atmosphere and climate. Upper-atmospheric lightning, known as transient luminous events, includes colorful phenomena with names straight out of a fairy tale: sprites, elves, and giants.